When embarking on a renovation project or house build, inspiration is never far away here at Fritz Fryer Lighting. By celebrating the inventions of the past, the ingenuity and technology of the future, we can combine the old with the new; our beautiful hand blown glass shades look stunning on the antique wall sconces. The clear and white glass hay coolie sits perfectly on any of the antique rise and fall pendant lights. Our pendant sets with a choice of coloured twist flex show off Etched, Holophane, Vaseline and cut glass antique shades, giving them a deserved make over and allowing their different qualities to ‘shine’! 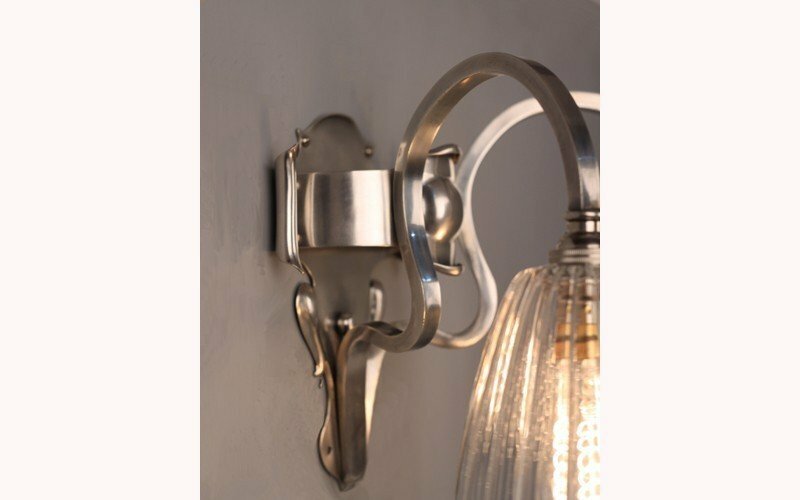 A question frequently asked is ‘What sort of lighting should I put in my Period house?’…. The answer is not as simple as being able to directly match a light to the period of the house, if your house is Georgian, for example, it would have been entirely lit by candles. The choice of light fittings for a property that has historical features, provides the dilemma that some modern lighting schemes could look crude and ugly. However reverting to candle light and gas lamps would prove to be inefficient and unsafe. In order to respect the features and historical charm of your period house, a compromise can be made by celebrating the authenticity with functionality. If you are wishing to make your house a home and not a museum then a good place to begin is by discovering what you like. This is your opportunity to explore different styles with an open mind. If you have decided to stay true to the period of the house then searching for influences of that time helps. The Great exhibition in 1851, proved to be a hugely inspirational time with 28 countries exhibiting their inventions and innovations of the time. Start by giving yourself plenty of time to deliberate the type of lighting you require and where. General lighting - providing you with an overall illumination to provide comfort and safety. Task lighting - Kitchen, study, bathroom – this helps you perform specific tasks and activities, and provides many options such as; Pendant lights, recessed lights, track lighting, table and floor lamps. Accent lighting – Used to highlight paintings, artwork and sculpture, collections and architectural features. If you want to make your house dance, you will need to embark on it with an open mind. Flexible living spaces require a lot of planning, especially if you are extending a period home, as you will be faced with smaller rooms that may have had specific uses. For example, a Victorian kitchen was small and private, tucked away out of sight. It was not a social place to dwell. The Drawing room, Dining room and hallway were public spaces that guests would see, the rooms would be decorated accordingly. The Victorians liked to show off their wealth! The large windows were just as much for natural light to pour in as an opportunity to look at what was happening outside their front door! High ceilings were not just an architectural feature. They were raised to help circulate the air after the invention of the gas light. Ceiling roses were designed to hide gas pipes leading to the lights. Clever ideas that we can now admire and accommodate in our 21stcentury ideas of home. Features – work with them. If the ceiling rose is staying then use it to frame a pendant light or chandelier. An electrolier in silver plate or brass/gilt finish. Or perhaps a cluster of bespoke glass shades to bring personality to the room? Low ceilings and nooks – Use wall lights and sconces. Uplighters and task lighting. Zone – Think about Kitchen dining, Islands, tables and seating. Pendants, clusters and chandeliers hung over dining tables and Islands should be just above eye level. Wall lights a little lower. Statement – Are you wishing to make an impact with your lighting scheme? If you plan ahead you will have the opportunity to design a room around a light fitting, whether it is a Crystal Chandelier or a 1950’s pendant light. The aesthetic? Any renovation project will carry an element of stress. Don’t apply unnecessary demands on yourself with unrealistic objectives. You may have set out with firm ideas for your house but budget, taste and compromise can scupper the most vivid of Grand design dreams. When I say ‘compromise’ you may have to let other people have their say in the creative process. A scary thought, I agree, but equally rewarding as it can provide a different perspective. Can antique lighting be mixed with new? In my opinion, yes. Of course it can. A cohesive look to any scheme in any house, in any room can be obtained by mixing it up. 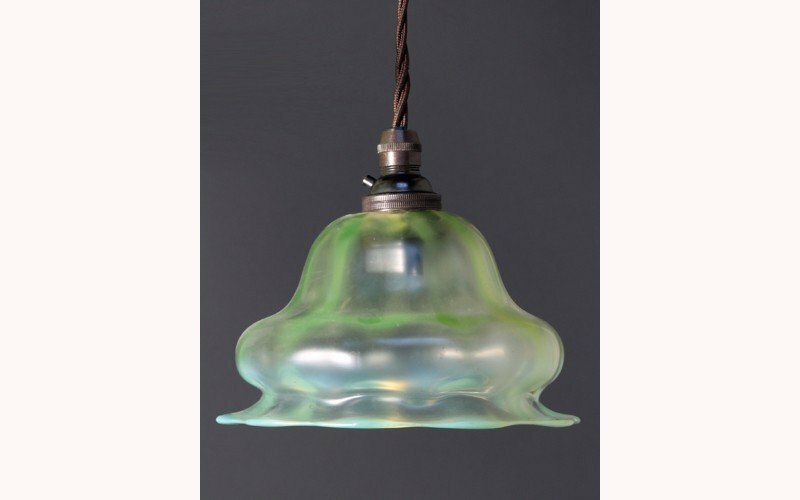 The contemporary hand blown glass shades would not look out of place situated in the same room as an antique light fitting, providing you carefully choose a finish to compliment and the light fittings work with the dimensions of the room. It is not necessary to attempt to fit the entire house at once. Simon advises “You don’t buy all your artwork at once, take your time, an exquisite light is a piece of art”.